What to Feed a House Full of Middle Schoolers? Every March, for the past five years, we have hosted a house full of middle school students (typically around 15 people) for our church’s annual D-weekend (Discipleship weekend). Girls and boys from various schools, backgrounds and personalities come together for a pivotal time of sharing and fun, and we have the privilege of opening our home, our floor, and our kitchen, to these kids. 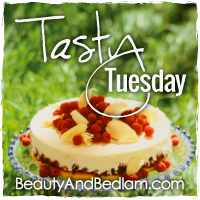 I put on my “Cooking for a Crowd” cap and get the recipe ideas for large groups simmering. When I was cleaning out my cook book cabinet this past week, (oh yes, I love my cookbooks, and I know you do to0 from your comments), I found a small recipe binder that my former youth group put together for me. When I mention former, I mean as in 18 years ago. When I was single and then newly married, I was the Music and Youth Director (pastor) at a church. Finding this binder is a treasure. They gave it to me as an initiation for all the “Fun foods” that teens want to eat during youth group, and I can’t wait to start making some of these now. This is perfect timing. It’s filled with titles such as: No Bake Cookies, People Chow, Puddingwiches, Carmel Apple Dip, Strawberry Fruit Dip, Pizza Snacks, Dirt Cake (already made this), Peanut Butter Goodies (very similar to my No Bake Peanut Butter Balls), and Rocky Road Pizza (which they bolded as a MUST TRY! You know it’s an old recipe when it calls for Oleo.) It will be fun to try some of these, even though some of the directions are “interesting.” They are all hand written by my old group. While I won’t be experimenting this weekend, I will be going with my tried and true recipes that every middle schooler enjoys. 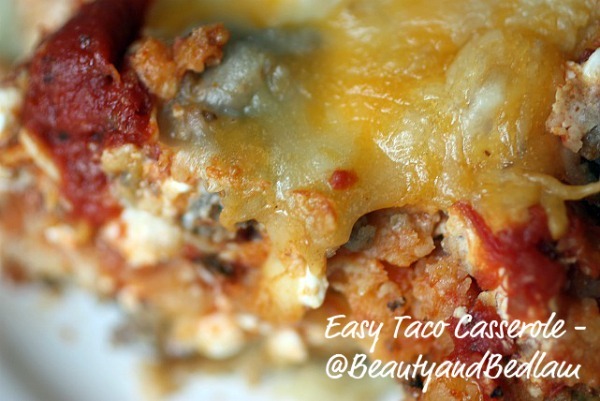 Taco Casserole Recipe: A family favorite for dinner. My Sausage Crescent Roll Recipe for our second breakfast, and I am still debating on the last meal. I could do homemade pizza, or chili or a baked potato bar. Of course, there will be lots of treats, chips, snacks – the best that junk food has to offer because truly, feeding their tummies opens their hearts to some good ‘ole soul fillin’. 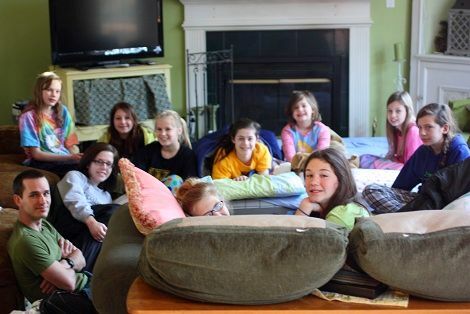 If you were hosting a large group of Middle School Students for the weekend, what would be on your menu? @Mrs. Jen B, The baked potato bar totally works for middle schoolers! We just did that last week & it was a total hit. Kids can choose what they want and it’s filling – the best combo. Walking tacos are always a hit – chips, taco meat, beans, and a whole slew of toppings for them to choose. That – and lots and lots of cookies and twizzlers. Have fun! We just cooked for a large group of middle schoolers last week! We fed 35 teenagers + adults using a simple baked potato bar. The prep was minimal because we used our crockpots to cook the potatoes. We always do a pasta bar for the kids. I cook three or four different kinds of pasta, and using fondue pots, several kinds of sauce. I serve small meatballs, italian sausage crumbles, salad shrimp, grated cheese and a variety of cooked veggies. They mix up their own pasta creations. I always make a huge garden salad and several loaves of garlic bread. If I were hosting a bunch of teens, I’d feed them Italian meatball subs with spaghetti sauce, meatballs with cream of chicken soup over rice, or pizza..
We had 4 teenagers at one time & often had a house full like your picture there and those were the sorts of things I fed them. They were always happy kids. Great ideas, Jen. If only I were brave enough to host that many kids. One day, if our house were bigger. Our Dnow weekend is coming up, but I can help with food. My middle schooler is eating like crazy right now, I can totally relate. I will also be hosting a group of teenage boy track stars this weekend! They will be “carbo-loading” before a big meet the next day. Luckily, I also have a 15k the next day and I get to eat my fill for once! I will be making white lasagna (whole wheat pasta with tons of veg and cheese and alfredo sauce), baked spicy penne (whole wheat penne, spicy sausage, loads of veg hidden in with a spicy red sauce and cheese) and “yummy pasta”…linguine with chicken and an olive oil garlic sauce with parm. Yummmm! Could you email me the recipe for your white lasagna? I am hosting college and career in two weeks. I already planned on cheesy pasta which has meat but need something vegetarian. @Jessica Budd, Hey there…please see below. I don’t really have a recipe but I’m so flattered you asked! This *could* be a really decadent dinner, but I like to use the less fat alfredo sauce. Oh, boy. Hosting a bunch of middle schoolers would be tough for us, since the way we eat is so outside the American mainstream (we’re Paleo). I would probably make something like chicken fajitas with guacamole (without tortillas), grilled chicken kebabs and/or chili (without beans). I don’t pre boil my lasagna noodles either. I just layer them in dry, with alfredo sauce (from a jar) on both sides, parmesan and mozzarella too. The, when it’s all done and layered, top with more white sauce and cheese. Put a little milk in each empty jar and shake up to get the last of the alfredo and pour into the four corners of the pam. Cover with foil and bake at 350 for about 45 minutes or until bubbly. If it looks a little boring you can sprinkle the top with a little parsley, fresh or dry.